Are you ready for the Super Moon? On June 23rd, 2013 we will have one. A big one. A Super Moon occurs when the Earth, Moon, and Sun are in alignment, and when the moon is at perigee. Perigee is the moon's closest point to Earth within it's orbit. In one year there is an average of 5 Super Moons, but this Super Moon is particularly special. On June 23rd, the full moon will occur only 22 minutes after the moon reaches perigee, the closest the moon will be to Earth not only this month, but also for this entire year. It will be and ENORMOUS full moon, VERY close to Earth, and therefore VERY powerful. Now is the best time to recharge your gemstones! Cleanse them in running water first, then place them in the light of the Super Moon. As you probably know, the moon is responsible for the ebb and flow of tidal waters. During a Super Moon, the tides are effected even more, rising higher and falling lower. Being that the human body is up to 60% water, don't be surprised if this Super Moon has an affect on you and those around you, heightening emotions. 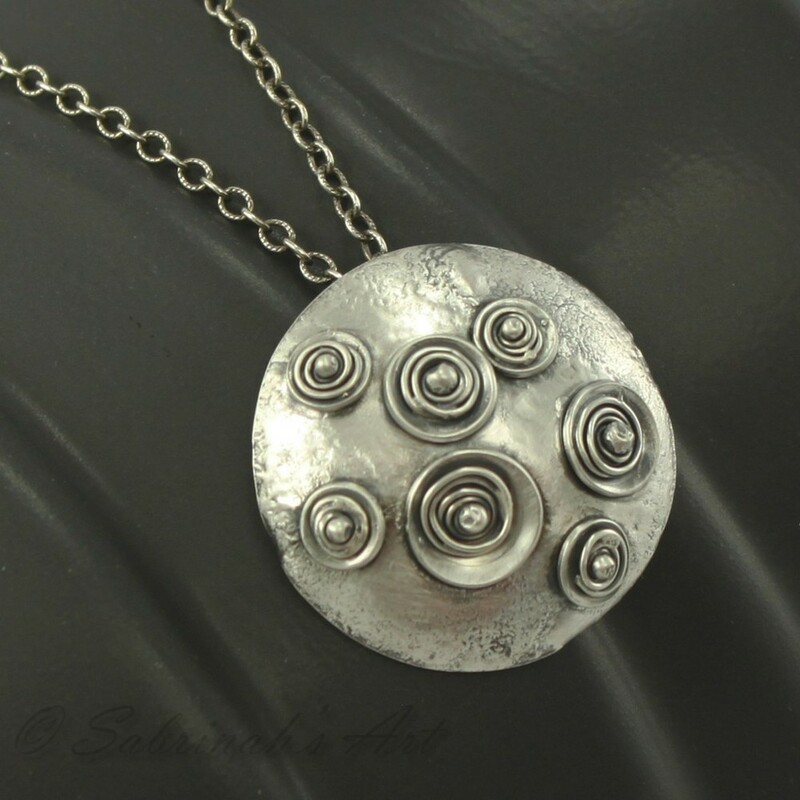 This Super Moon has been on my mind and has inspired this reticulated silver "Super Moon" pendant. This Super Moon is a phenomenon that should not be missed. The best time to view the Super Moon is when it's closest to the horizon, giving the amplified illusion that it's even LARGER. It will rise in the East at sunset. Let's keep our fingers crossed for clear skies. Happy viewing!